The Sharks head coach Robert du Preez says there’s great energy in his squad ahead of the tough 2018 Super Rugby season. He’s banking on a team with a good mixture of youth and experience to produce the results this season. The Sharks are not taking the 2018 rugby season lying down. 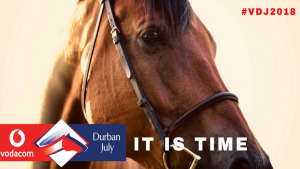 They’re sweating it out in the sweltering Durban heat stretching themselves to the limited. They are sharpening their skills ahead of a tough couple of months of rugby. The Sharks are heading into the 2018 Super Rugby competition with a pep in their step, but say they want to take it one step at a time. They’ll be playing two warm-up matches prior to the competition. On the 27th of January they meet the Bulls in Polokwane and on the 3rd of February they head to Hong Kong, where they’ll take on Racing 92. On Saturday, Sharks fans are in for a treat. They’ll get an opportunity to meet the entire squad at Kings Park. 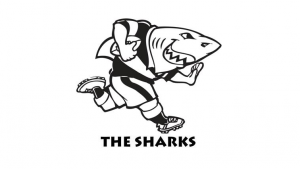 The post Sharks upbeat about 2018 Super Rugby season appeared first on SABC News – Breaking news, special reports, world, business, sport coverage of all South African current events. 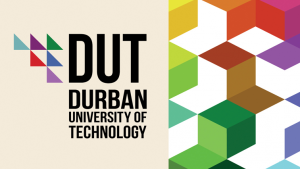 Africa's news leader..
Employees at the Durban University of Technology (DUT) in Durban say they have lost confidence in Vice Chancellor Professor Thandwa Mthembu after he failed to engage with them three days into their protected strike. Members of three unions, National Education Health and Allied Workers’ Union (Nehawu), National Tertiary Education Union (Nteu) and Tertiary Education National Union of South Africa (Tenusa) are demanding a 10% increase to their salaries. The strike coincides with similar protest action at Unisa where students protested in solidarity with employees who downed tools are demanding a 12% increase. Both employers have offered only 4%. Speaking on behalf of the three unions, Nehawu’s Milton Estrice says, “There’s been no talks with management, Rome is burning and they are writing love letters; but one thing is clear staff will not stop this strike until there is engagement and an amicable solution found. The post DUT staff, Vice Chancellor at loggerheads appeared first on SABC News – Breaking news, special reports, world, business, sport coverage of all South African current events. Africa's news leader.. The murder trial of Inchanga South African Communist Party (SACP) member Nonsikelelo Blose got underway in the Durban Magistrate’s Court on Tuesday. Five men have been charged with her 2016 murder. They’ve also been charged with the attempted murder of a Young Communist League (YCL) member who was present at the scene. Bonginkosi Hlengwa, Sthembiso Mnguni, Lindokuhle Basi, Khehla Shozi and Lungisani Lungu Shozi have pleaded not guilty to both counts. About two weeks after the 2016 Local Government Elections it’s alleged Nonsikelelo Blose went to a local tavern in Fredville to buy braaied meat, to celebrate the results. She was shot there and died shortly afterwards. 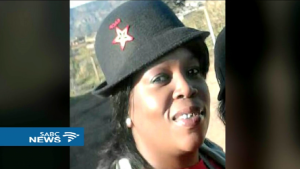 The five men that have been charged with her murder are also charged with the attempted murder of Wandile Nxumalo, who was also at the scene. 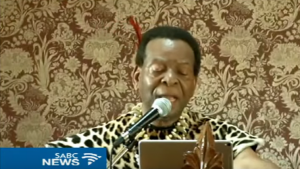 He is the son of former eThekwini mayor James Nxumalo. According to Blose’s daughters’ emotional testimony, one of the accused fired two shots hitting her mother. She alleges that his friends then pulled him away and fled the scene. According to the charge sheet, it’s alleged that the murder was planned or premeditated and was committed by a group of people with a common purpose. In a statement the suspects admitted being at the tavern, but say they were there, merely drinking liquor, enjoying each others company and singing. They also denied being in possession of firearms. The trial is set down for four days. The post Five accused of murdering SACP member Blose plead not guilty appeared first on SABC News – Breaking news, special reports, world, business, sport coverage of all South African current events. Africa's news leader.. The National Sea Rescue Institute (NSRI) has made an urgent plea to all beachgoers to be extremely cautious over the next week. This is as the first full moon of the New Year will result in a spring tide and stronger than normal rip currents. Nine people have drowned across the country since the start of the festive season – five of them in the Western Cape. The NSRI’s Craig Lambinon says rip-currents are powerful, narrow channels of fast-moving water which can occur near beaches with breaking waves. 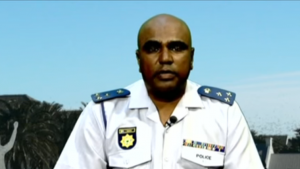 The post Beachgoers asked to be cautious appeared first on SABC News – Breaking news, special reports, world, business, sport coverage of all South African current events. Africa's news leader..